When you find that you are dealing with some sort of bathroom plumbing issue, it is never anything that you want to leave unattended for long. Once you know that you are in need of a good toilet installation & repair service in Clearview, you can call us at Trident Plumbing and Drain Cleaning so that we can get started on the fix that you require. All it takes is one phone call and we can dispatch someone to your home or business space to get started on an assessment. You should always pay attention to any looming problems that could be getting worse in your bathroom, especially when it comes to the toilet. The toilet is a portion of the bathroom that sees regular use on a daily basis, so the last thing that you want is for the bathroom to be out of commission. When you have a commercial space, issues with the toilet can make for problems with your employees that will trickle down to production as well as the potential for a workplace health hazard. When there is a serious problem going on with your toilet, you are going to notice it right away. There can be flushing issues or you may have a leak that comes from the tank area. You might even notice that there is an issue when trying to have the tank fill up properly or there could be a whistling that happens when it fills. Should you have a bathroom renovation project in mind, we can come in and look at your space then go over your needs and wants. We can be there for professional toilet installation to get you exactly what you are hoping for. Our staff is professional, friendly, and all of the work that we perform is guaranteed. 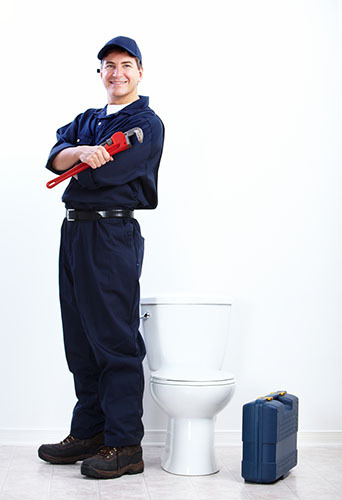 If you need a dependable toilet installation & repair service in Clearview, trust Trident Plumbing & Drain Cleaning. Call us today at (425) 321-6043!